Linens and Hutch Bamboo Pillow Review was recently reviewed by the MattressJunkie.com team. Linens and Hutch has an array of sleep products on their website including comforters, sheets, pillow, mattress toppers, mattress protectors, mattress encasements, and bed skirts. Linens and Hutch is located in Clearwater, Fl and they ship direct to consumer. 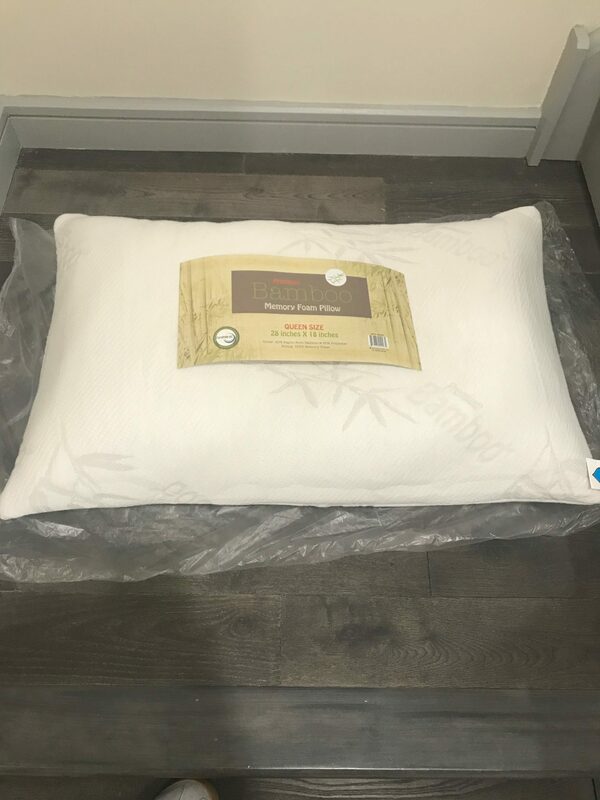 The bamboo pillow was on our list of products we had been wanting to review at MattressJunkie.com. 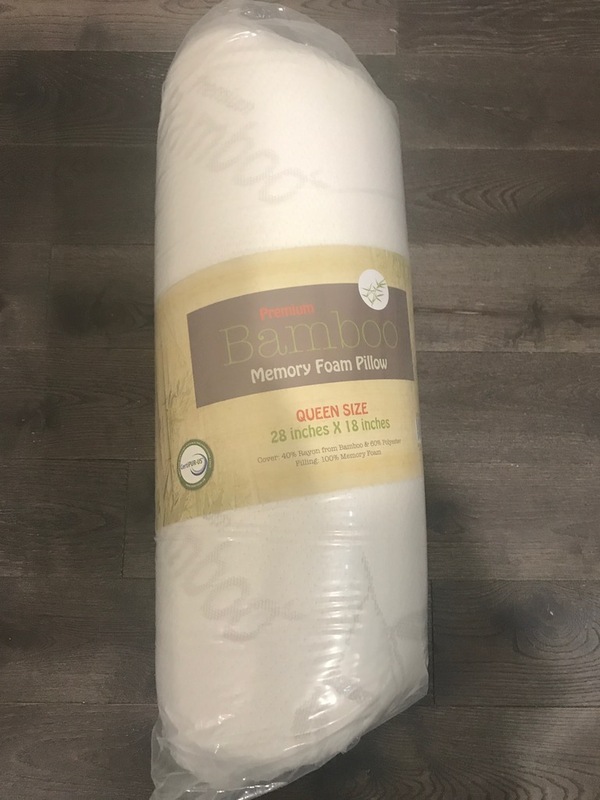 Bamboo is used in many sleep products and our experience has been positive of all bamboo products we have tried. Check out how the Linens and Hutch Bamboo Pillow did when we put it to the test. What sleep position is best for the Linens and Hutch Bamboo Pillow? The Linens and Hutch Bamboo Pillow is very moldable. The convoluted foam is great because you can compress it by pushing down or fluff to change the shape. Due to this, back and side sleepers will both find the Linens and Hutch Bamboo Pillow extremely comfortable. Tell me more about the Linens and Hutch Bamboo Pillow cover. The cover of the Linens and Hutch Bamboo Pillow 40% rayon from bamboo and 60% polyester. In addition to the cover being highly breathable, it’s also removable and machine washable on cold. Bamboo infused into the cover gives the pillow multiple benefits. Bamboo is twice as soft as cotton, resists odor, and is eco friendly. Bamboo is great at eliminating dust mites and has microbial properties. Sleepers with allergies or asthma should use bamboo products. If you suffer with sensitive skin, bamboo won’t cause skin irritation. What’s under Linens and Hutch Bamboo Pillow cover? Linens and Hutch Bamboo Pillow has convoluted memory foam under the cover. When you get your pillow, it will be rolled and flat. You simply break apart the foam to fluff the pillow to your preferred level of thickness. How much does the Linens and Hutch Bamboo Pillow cost? Linens and Hutch Bamboo Pillow costs $50 for standard size and $60 for king size. What Size is the Linens and Hutch Bamboo Pillow? Standard size is 20 inches wide by 26 inches in length. 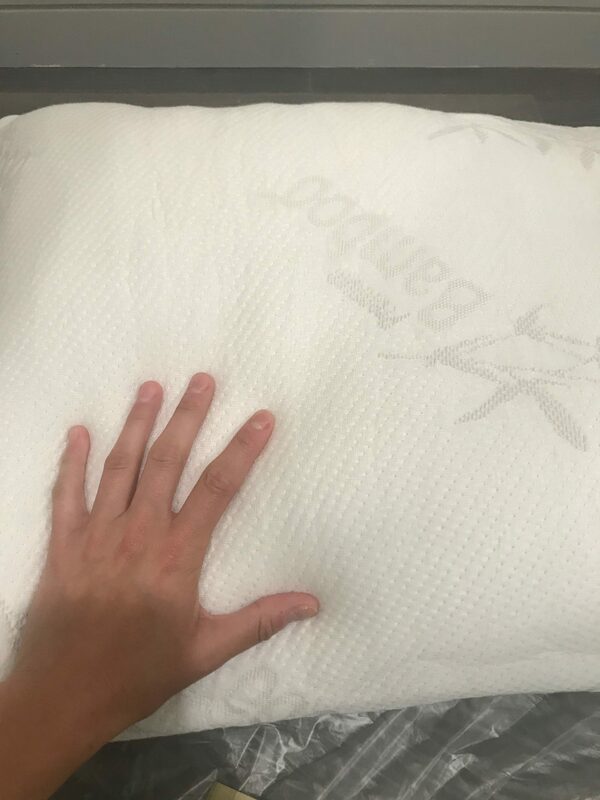 The king size pillow is 20 inches wide by 36 long. 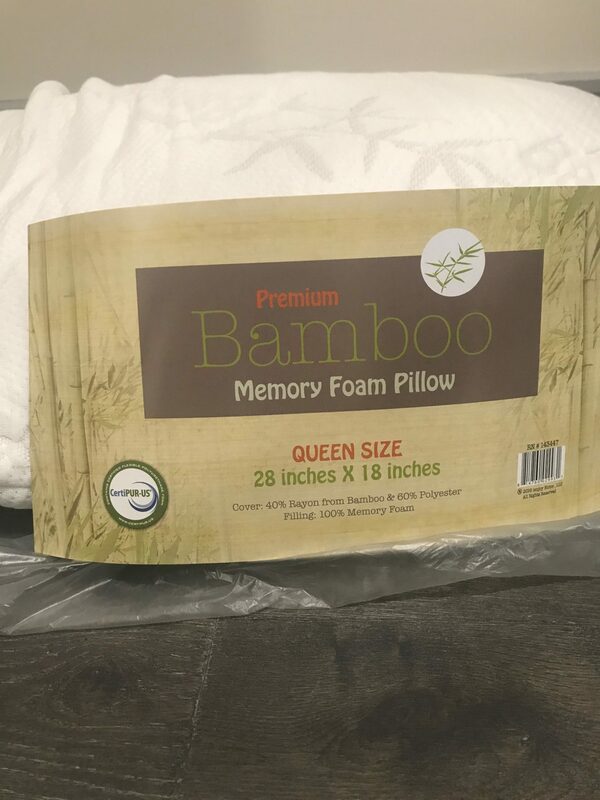 Does Linens and Hutch Bamboo Pillow have a sleep trial? Linens and Hutch offers all buyers a 60 night sleep trial with a 100% money back guarantee. Would we recommend the Linens and Hutch Bamboo Pillow? The Linens and Hutch Bamboo Pillow is luxurious and comfortable. I never slept hot. 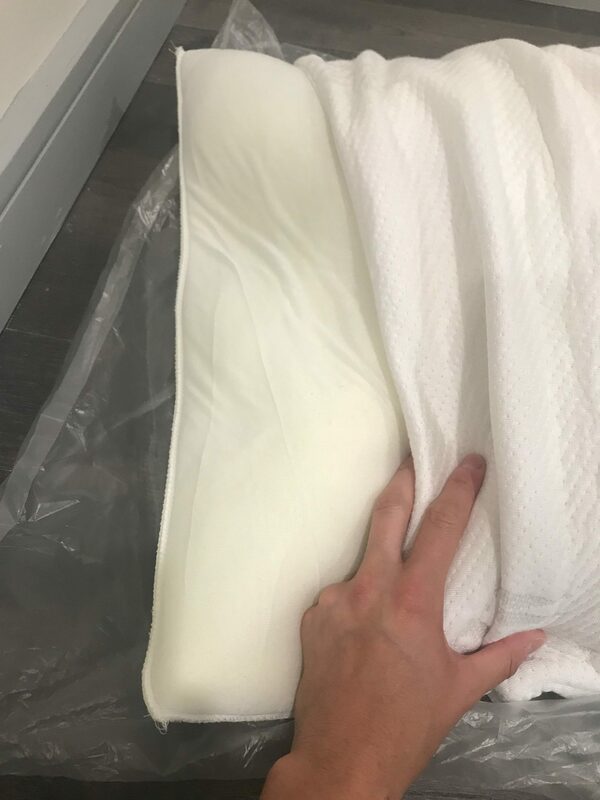 The ability to mold into your preferred level of thickness is something everyone should consider when buying a nice pillow. I really liked the Linens and Hutch Bamboo Pillow and I slept on it very comfortably every night. I highly recommend one for every bed in the house. Learn more about Linens and Hutch here…. Use code “MATRESSJUNKIE” for 30% off any order.